A collaboration that accumulates, analyzes, and reports data to enhance programming for transitioning and at-risk equines. 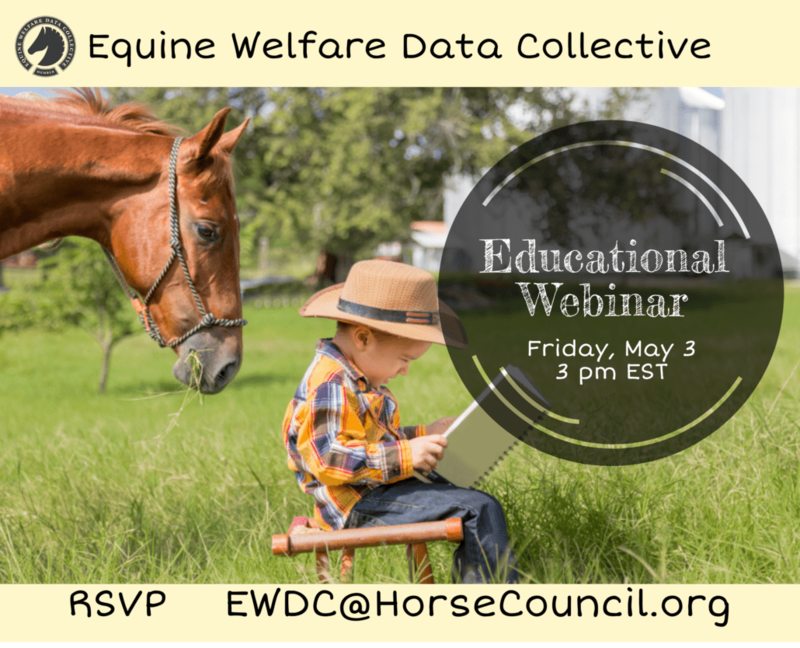 The Equine Welfare Data Collective (EWDC) will be hosting an Educational Webinar on May 3rd at 3:00pm. as well as a question and answer period. To RSVP, or if you have any questions regarding EWDC, please contact EWDC@HORSECOUNCIL.ORG. If you have not already submitted your data, or are looking for more information on how to do so, please click the link below. Click here to submit data! We’re a group of agencies working together to collect national data on equine welfare from transition centers, adoption centers, rescues, sanctuaries, shelters, and other organizations involved in equine welfare. We are currently collecting and sharing baseline trends such as capacity, current population descriptions, intakes, and outcomes. Most data on equine welfare in the United States is anecdotal, we feel we’ve done what we can with the data we have. We understand the power of data and how it can vastly shift the dialogue around an issue and drive positive change. Funders and industry professionals identified a need for accurate and credible data, we see it as our responsibility to understand the issues and provide needed insight. Why should your group become a member and contribute data? First and foremost, membership to the EWDC is absolutely free! Results are aggregated and will remain anonymous with no identifying factors of organizations contributing data. Your data contribution will provide for more accurate study results to help you understand and communicate the scope of the issues you are tackling, better serve your community, and become a benchmark among industry leaders. Granting organizations will be looking for your contribution to the EWDC as part of their funding considerations. Contributing organizations are the first to receive results from the data collected, have the opportunity to participate in a biannual member round table discussion, and are given an EWDC member badge for their website to publicly demonstrate their commitment to our mission. Check out our survey guide! 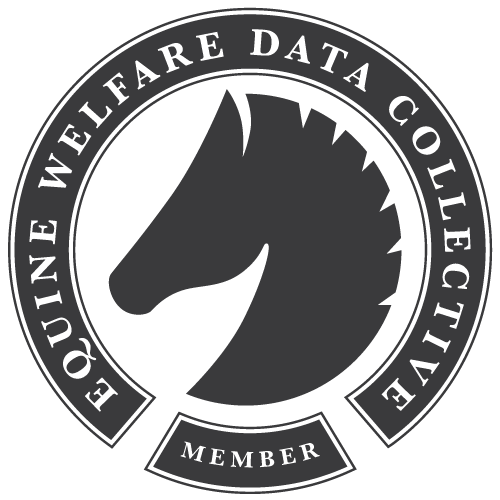 The Equine Welfare Data Collective (EWDC) was created by the United Horse Coalition (UHC), a program of the American Horse Council (AHC), with funding partners being: The Right Horse (TRH), The American Society for the Prevention of Cruelty to Animals (ASPCA), and the American Association of Equine Practitioners Foundation (AAEPF). We’re transparent about our methodology to encourage participation and produce credible data, we’re happy to answer any questions you have about our process. Subscribe to our mailing list for the latest EWDC news! 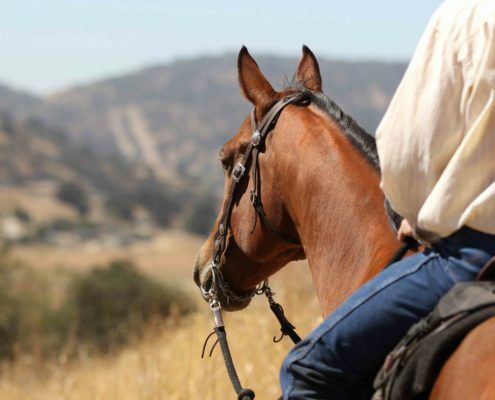 The United Horse Coalition is a broad alliance of equine organizations that have joined together under the American Horse Council to educate the horse industry about the problem of horses at-risk or in transition. 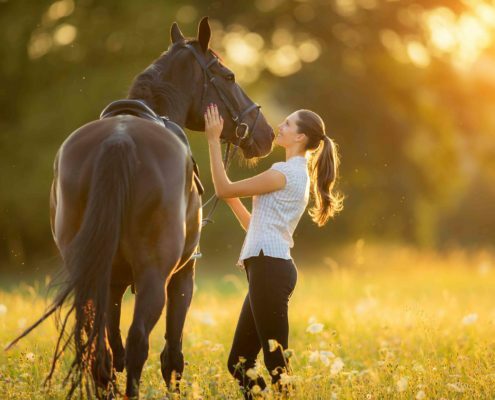 We seek to provide information for existing and prospective owners, breeders, sellers, and horse organizations regarding the long-term responsibilities of owning and caring for horses, as well as focusing on the opportunities available for these horses. Through industry collaboration, the UHC promotes education and options for at-risk and transitioning horses.